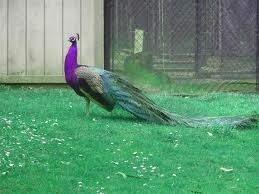 Thank you for visiting Peafowl.org! 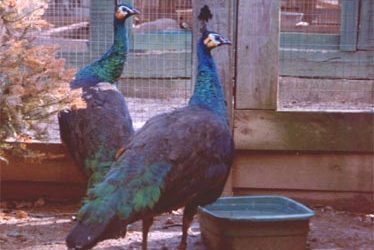 The United Peafowl Organization is an international association of peafowl enthusiasts, interested in the breeding, raising, and wellness of peafowl. 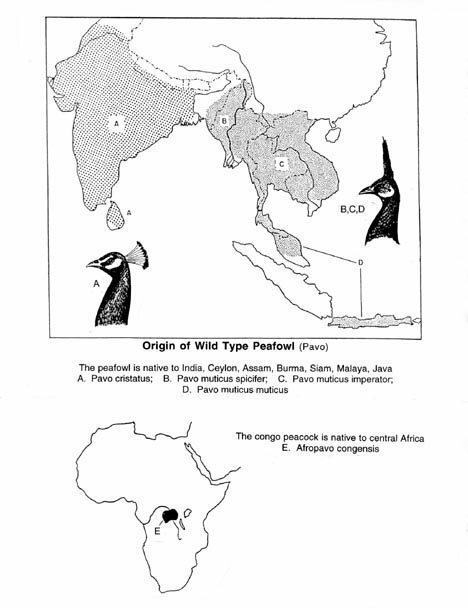 The UPO promotes the betterment of the peafowl species and growth of the peafowl community through education and sharing. Our website aims to develop and encourage the free sharing of knowledge and ideas for the benefit of our community. 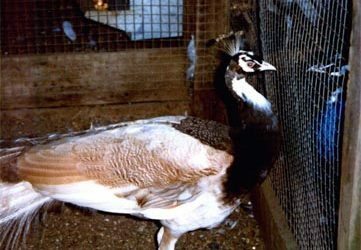 What's the Difference Between a Peacock and Peafowl? 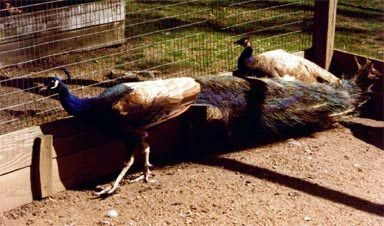 Undoubtedly, you’ve heard of and seen peacocks, which are considered by most to be one of the most beautiful birds on planet Earth – but how are peacocks related to peafowl? 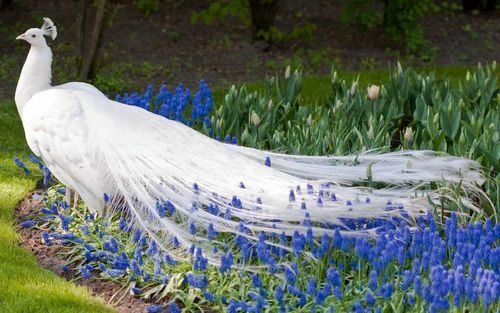 The name peafowl is the general term given for that bird family, and the peacock is simply the male peafowl. 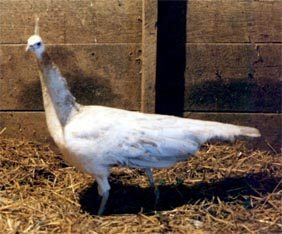 The female peafowl is technically called a peahen, but many refer to the female peafowl as just peafowl. 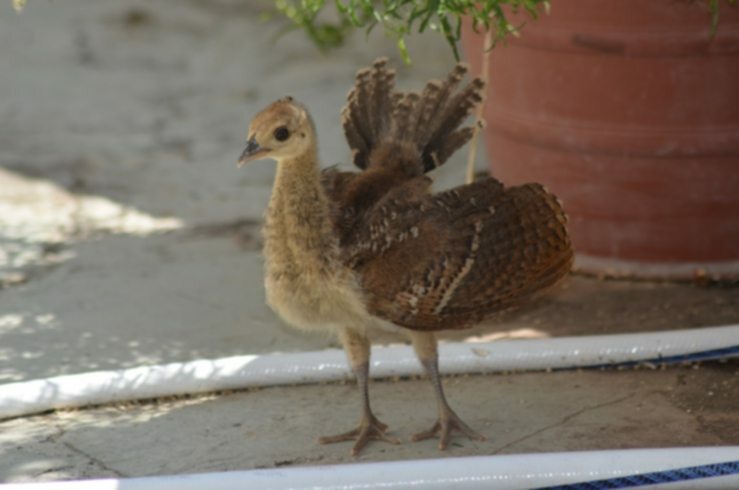 And the peafowl chick is called a peachick! 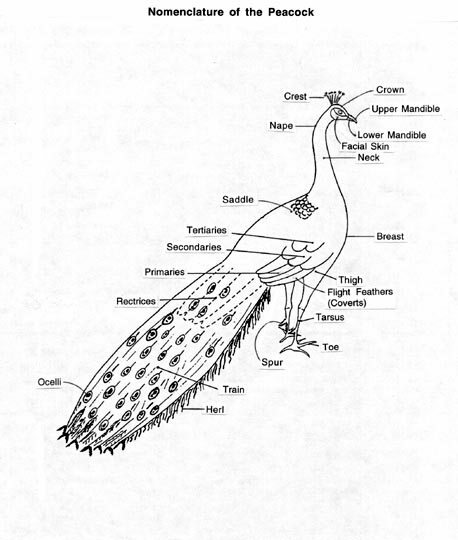 You can see an image of a peahen and its peachicks to the left. 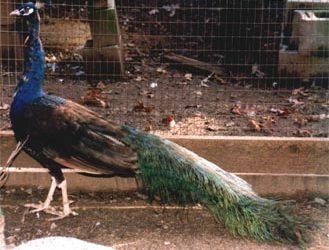 The male peafowl – the peacock – is much larger than the female and is typically 40 to 46 inches in length. The peacock’s most distinguishing characteristic, of course, is its brightly colored tail feathers, called the train. The 200+ feathers that make up the train have decorative “eye spots” colored in bright blue, green, pink, black, and other colors. 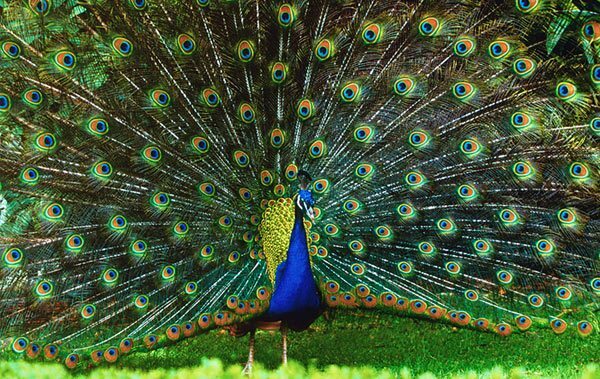 The peacock spreads its train, stands up tall, and flutters its wings to attract the female peahen, which is ultimately in charge of choosing its mate. 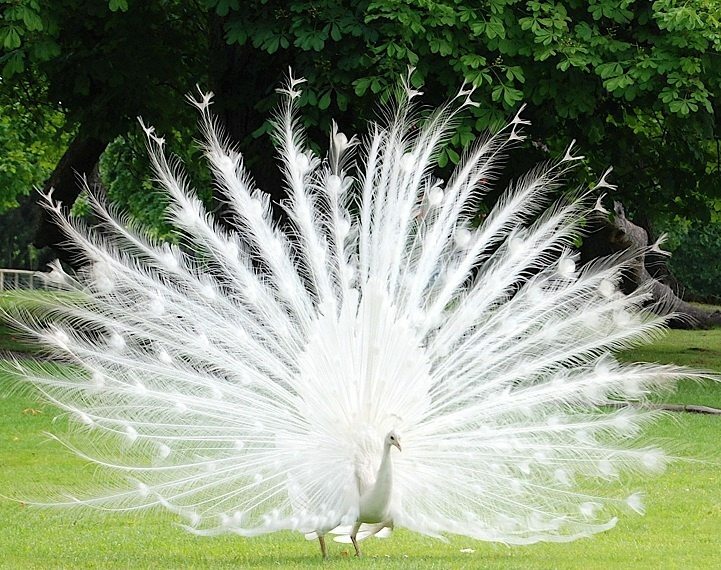 That is why the peacock’s feathers are so extravagant compared to the relatively simple plumage of the peahen – it is up to the peacock to win over its mate! 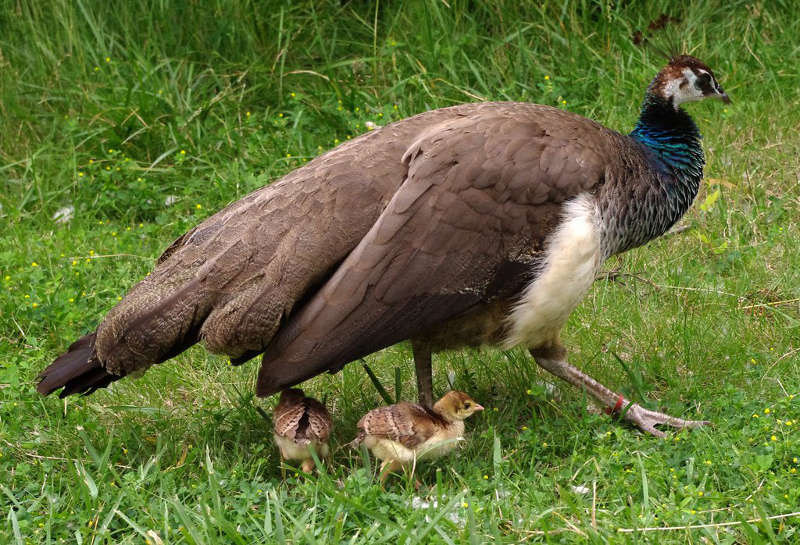 Visit our Peafowl Photo Gallery for more! 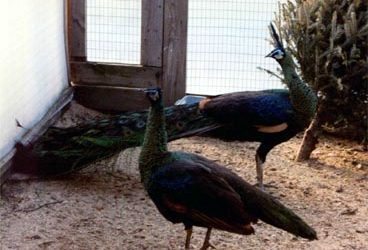 Peruse our website and discover more about peafowl and raising peafowl. 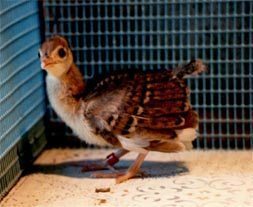 Through our website, the United Peafowl Organization’s goal is to disseminate information, guidance, and assistance for the promotion of peafowl. We hope you learn or discover something new! If you would like to contribute to the site and submit an article, please visit our Contact Form. Our readers would love to learn from you! Not sure who to direct this thank you to, but I want to send out a HUGE thank you to whomever is responsible for putting up the info about curled toe and straddle leg remedies! I got a chick a week ago that was already a week old and she had both of these conditions. Using the information on your web page I made her corrective shoes and a brace for her legs. I left them on all this last week and today when I took them off, she was completely sound with good feet and normal legs! Thank you, THANK YOU, THANK YOU!!!!! 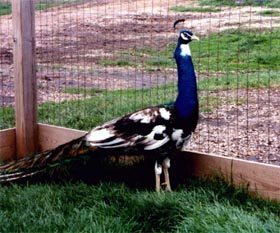 If you want to sell peafowl and post a listing, please post all your information on our Peafowl for Sale page. We suggest you visit http://www.peafowl.com for more information and a great place to ask questions. Find great online deals at BonusPromoCode.com. You can read about their Bovada bonus here. Find out how to watch free streaming live football at http://www.livefootball4free.com.